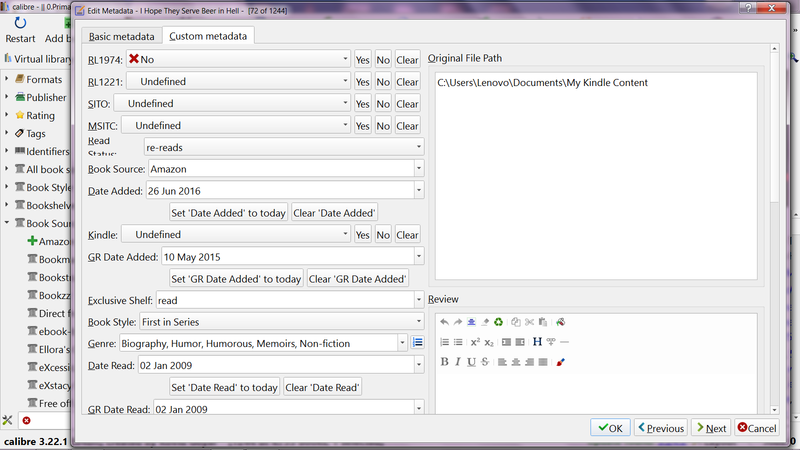 After resetting the order of columns in the edit metadata my "read status" column is taking up two rows for the label to the left of the fixed response column, when all the other columns have their labels on one row. 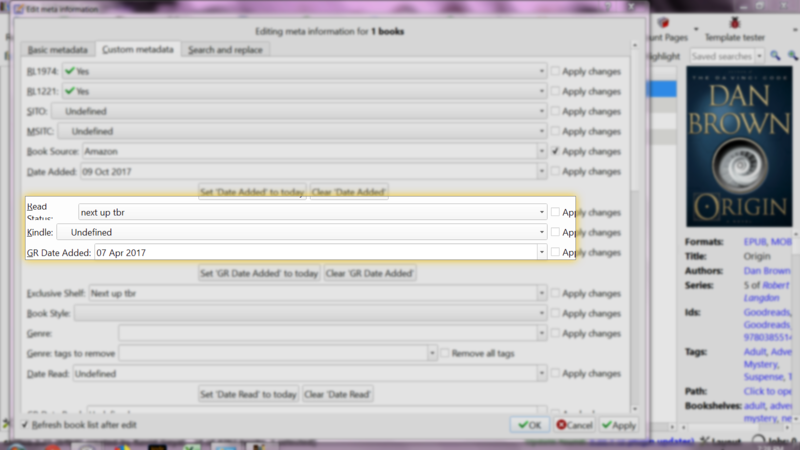 This leaves my edit metadata with a partially missing label. 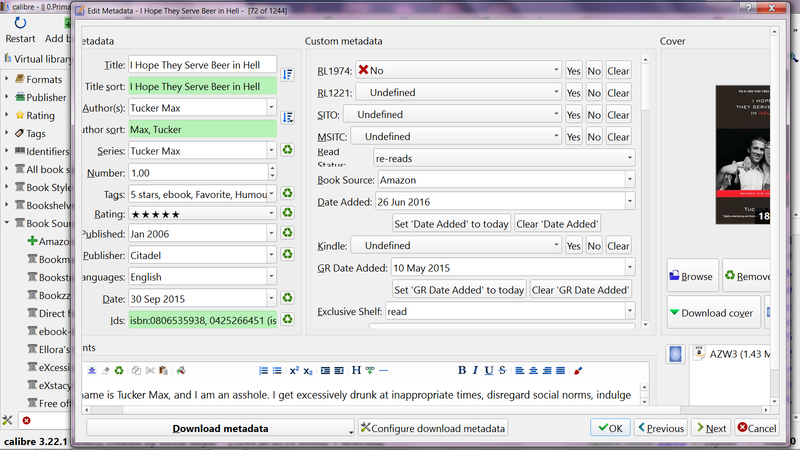 Attached screenshot highlighting the column in the bulk metadata view, I also have the individual book view but I can seem to only attach one file. Changing the component for this bug. used for the control labels. 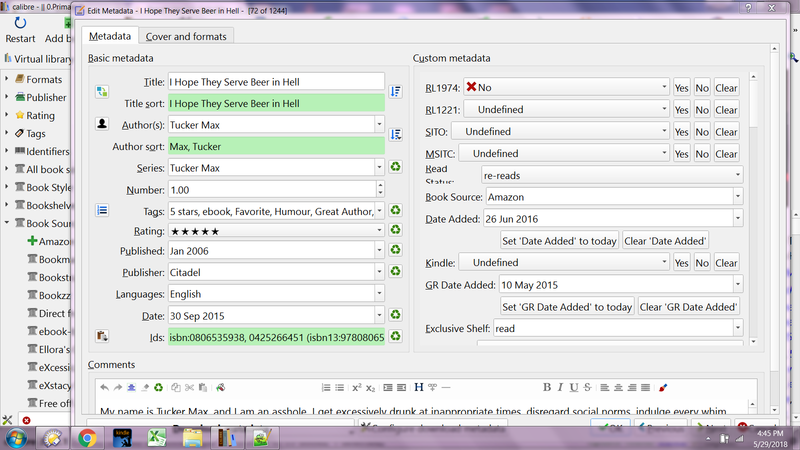 1) The change will break edit metadata for everyone who likes word wrap. 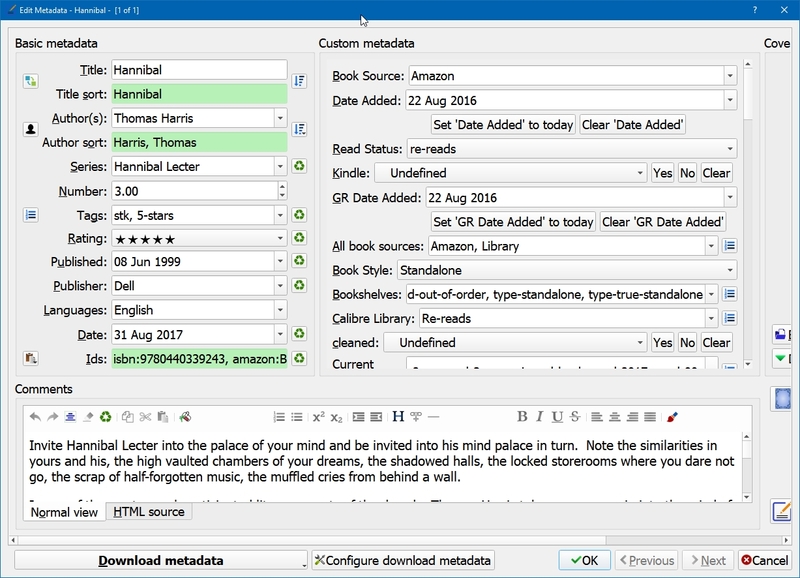 It also can make it impossible for the edit metadata window to fit on the screen if the label text is very long. 2) I can't make it fail on windows. In every case I have tried the cell expanded vertically so that the label showed completely after word wrap. I wonder if this is an artifact of Qt on the OP's OS? Or perhaps the font metrics are incorrect? @OP: What OS and calibre version are you running? Have you changed the interface font? If so, to what? I dont know why there should be layout pressure at all. > I dont know why there should be layout pressure at all. > one row. 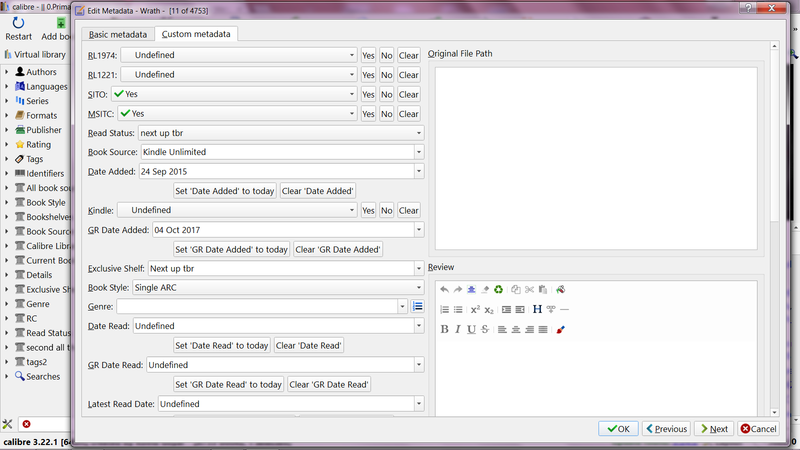 This leaves my edit metadata with a partially missing label. >> I dont know why there should be layout pressure at all. will give you all the info you need. > font sizes. See the attached screen capture. 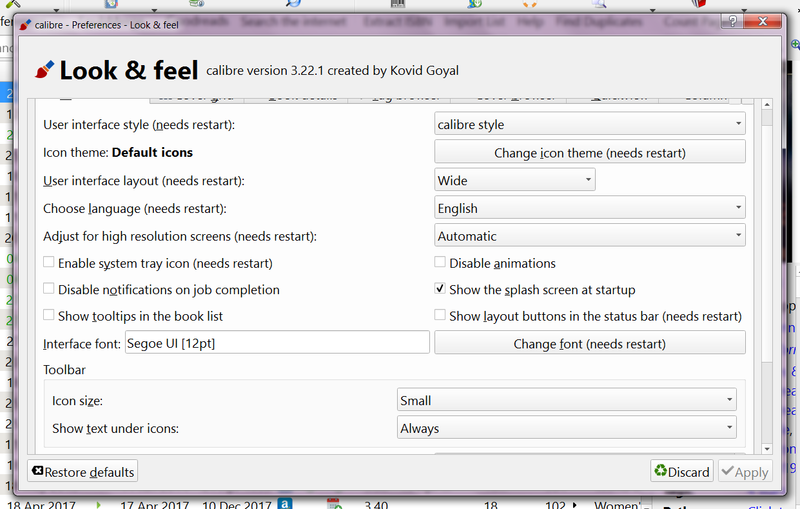 > - the text of the column order tweak? > - the actual font you are using? > - the OS and calibre version you are ruinning? > would be good to know. > ** Attachment added: "Clipboard01.jpg"
I was able to repeat the problem and have submitted what is best called a workaround because the problem is almost certainly in QT itself. > a workaround because the problem is almost certainly in QT itself. So I guess I am the first to come across this glitch. > an Android app doesn't work because of a bug in Android itself.